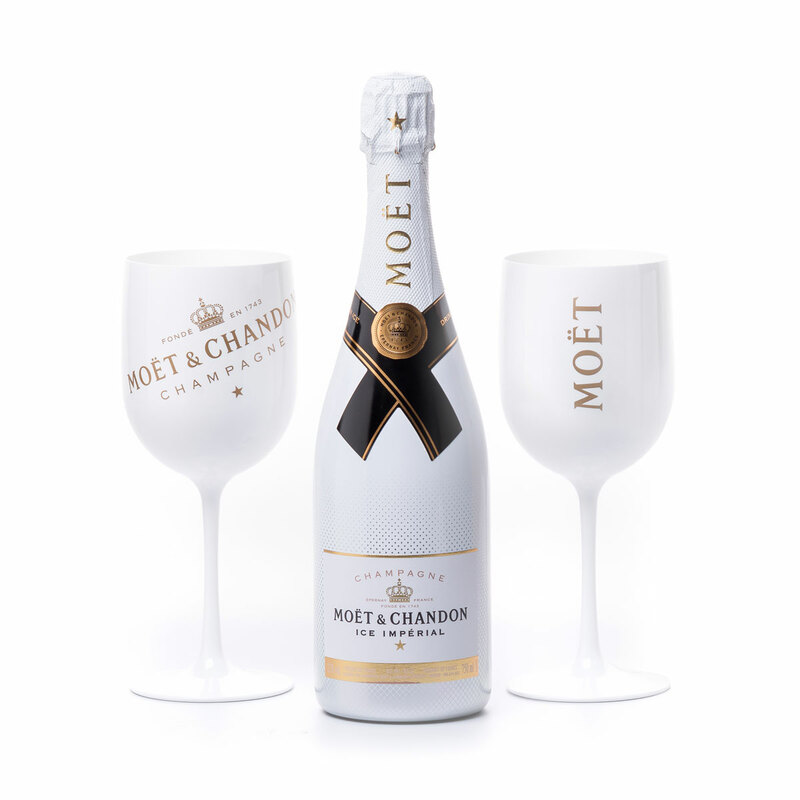 Celebrate with this completely unique take on Champagne by legendary house Moët & Chandon: the Moët & Chandon Ice Impérial is the first Champagne created especially to be enjoyed poured over ice. This fresh, modern twist on luxury is the perfect way to experience ice-cold Champagne for any special occasion, without losing any of the sparkling wine's bubbly, lively character. The Champagne is true to Moët's signature fresh, fruity style. 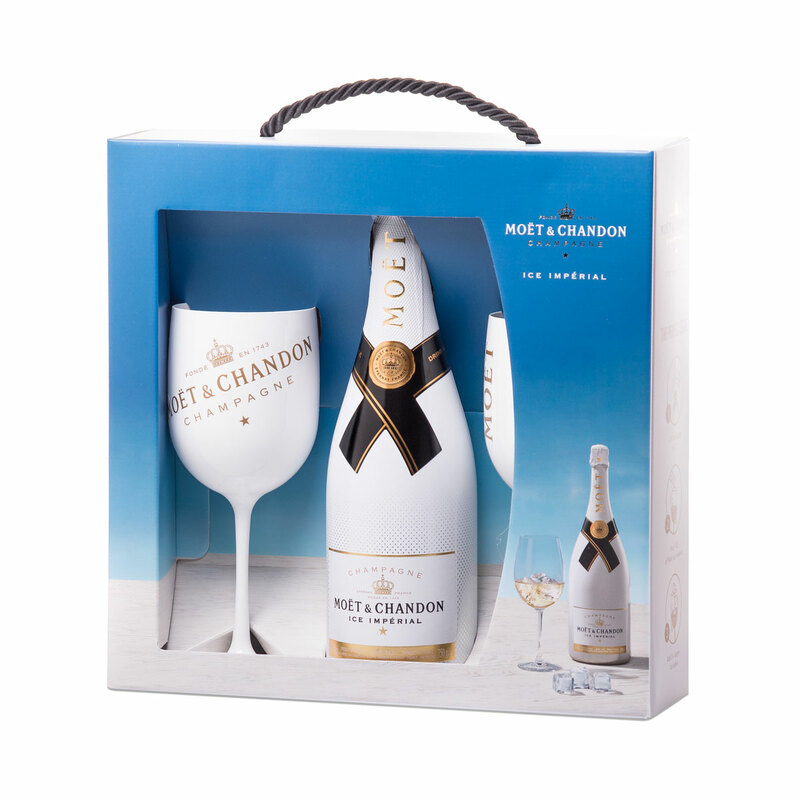 Presented in a gift set with a pair of stylish white acrylic Champagne glasses. This Champagne gift is a wonderful gift idea for weddings, anniversaries, birthdays, and to say "congratulations" or "thank you."